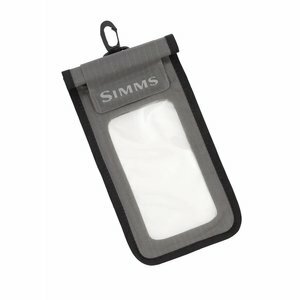 Simms Waterproof Tech Pouch, Simms' submersible Waterproof Tech Pouch is a survival suit for your digital devices especially your smart phone. 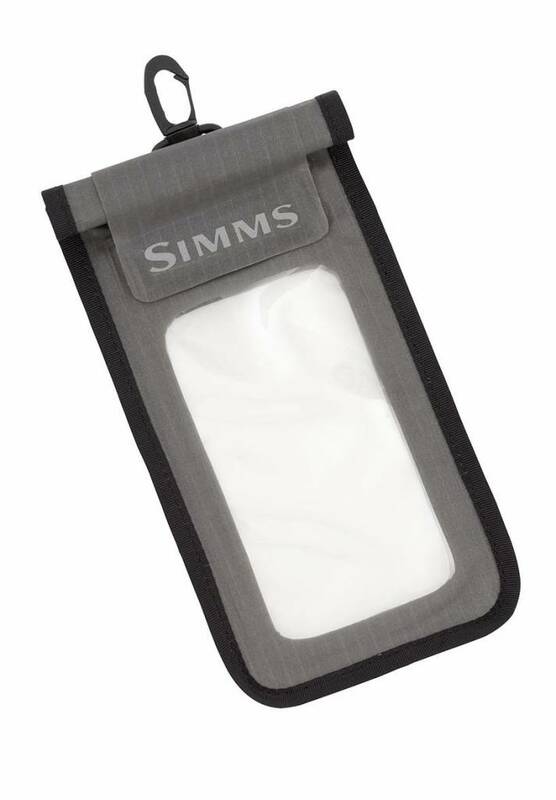 Simms Waterproof Tech Pouch, Simms' submersible Waterproof Tech Pouch is a survival suit for your digital devices, featuring welded construction in conjunction with a secure, roll-top zip closure. The clear TPU front and phone camera window enhance operations, while a secure-clip adds convenient attachment options.